WASHINGTON — Virginia lawmakers will take another swing at repealing the so-called “Kings Dominion Law” regarding school start dates this year, along with a litany of other education-related bills. While one proposal would repeal the law entirely, allowing local school systems to start any time they want as long as they provide for at least a four-day Labor Day weekend, another would repeal the 1986 law requiring most school systems start after Labor Day for only Northern Virginia. The house of delegates passed the repeal last year, but it did not go further. Maryland has recently implemented its own post-Labor Day start requirement. Virginia’s short session begins Wednesday and ends by Feb. 23. Regarding student health, there are proposals that would require schools ban tobacco and vaping on school property and during school activities, require students be taught about the health risks of vaping, require students with intellectual disabilities be taught more about social skills and sexuality, and to allow any student with a prescription for CBD or THC-A oil to use it at school without facing discipline. Another bill would prevent criminal disorderly conduct charges for simply disrupting school activities. 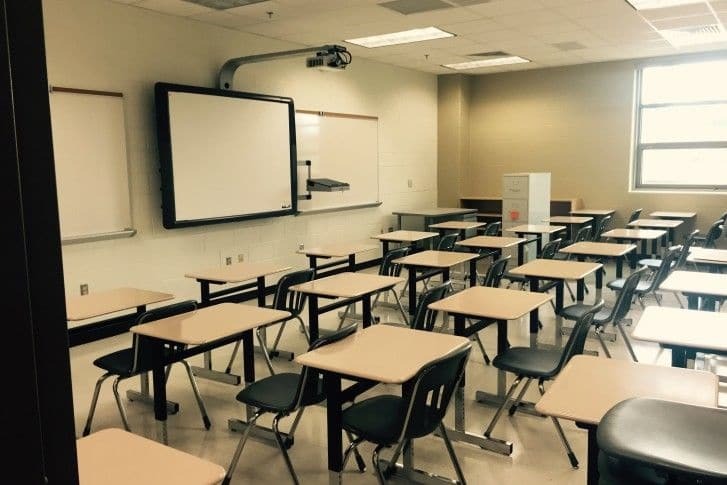 After a 9-year-old boy was killed in Fairfax County, another proposal would ban the installation of new powered room partitions in school buildings unless they automatically stop moving after hitting anything besides the wall on the other side of the room. Other bills would require schools close each November on Election Day, require a state report on teacher vacancies, require public comment before any tuition increases at public colleges and universities, and require a sexual violence policy and list of lawyers be provided to any college student being accused of, or accusing another of, sexual assault. There are also proposals to more strictly regulate private loan servicing companies, to require standardized financial aid award letters, and to allow in-state tuition for people applying to be U.S. permanent residents who would otherwise be eligible. For low-income students, there are proposals to provide free dual enrollment in college courses and to allow for scholarships to college for students that come back to their hometown to teach in low-income schools. In K-12 schools, there is a proposal to test replacements for some Standards of Learning tests, a bill that would require parents be notified at least 24 hours before any lockdown drill, allow more military families to register kids for school at the location where they will soon be stationed, and a bill that would require home-schooled students be permitted to take public-school drivers education classes without any extra fees. Other proposals would lead to a study of uniform statewide teacher evaluation criteria, increase required local retirement contributions for school employees besides teachers, and allow for additional child care facility regulation in Arlington, Loudoun and Prince William counties.